A solid version of our bestselling Periform+ probe, the Pelviline Vaginal Probe is wider than most standard probes and is easier to keep in place to make your exercises easy and effective. 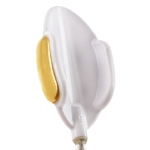 Unlike the Periform+ probe, the Pelviline Probe is suitable for use by women suffering Pelvic Organ Prolapse. With the standard Periform+ probe, the prolapse can descend into the hollow of the probe, making exercising uncomfortable. This problem is eliminated with the Pelviline probe. Also, the Pelviline probe has an adjustable hilt, meaning it's easy to insert to the correct depth, and there's no danger of inserting it too far. 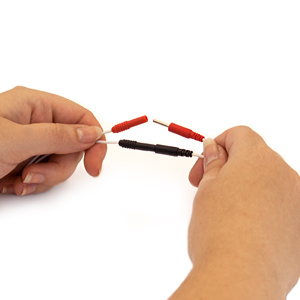 The Pelviline Probe also includes a handy indicator wand to show that you are exercising the correct muscles in the correct way. 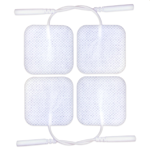 The stainless steel electrodes offer excellent conductivity and make your exercises easy, comfortable and effective. 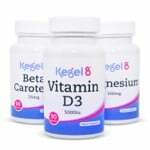 Pelviline is suitable for use with Kegel8, EMS and EMG devices.